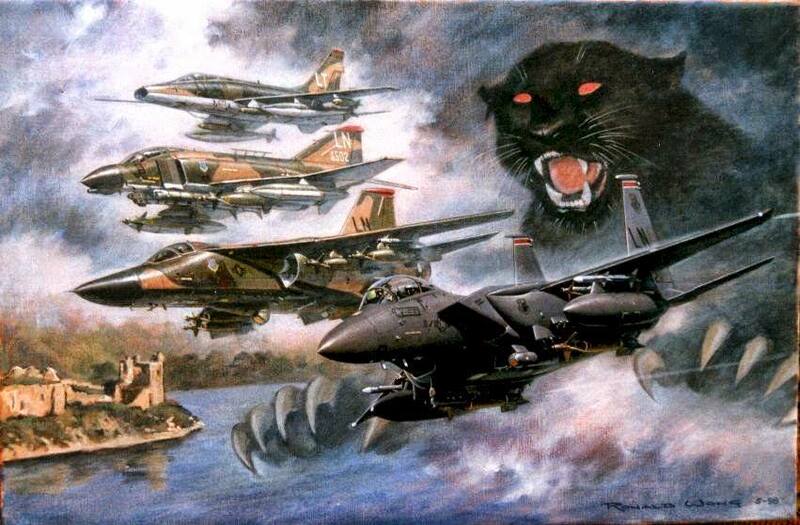 12th Tactical Fighter Wing reunion, Tucson, Arizona - The Works of Joe Campolo Jr. 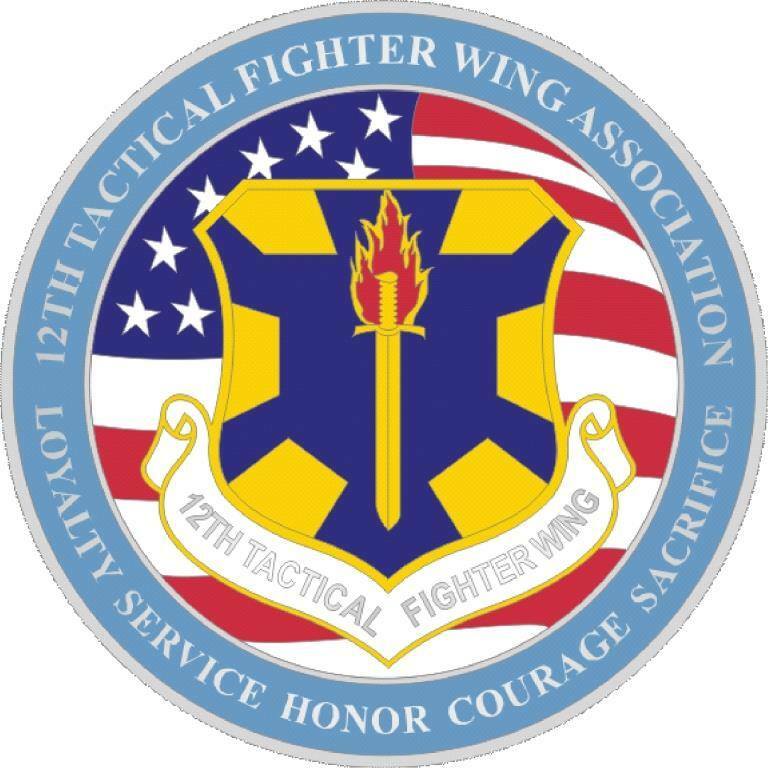 I recently had the privilege of attending the 12th Tactical Fighter Wing Association reunion in Tucson, Arizona. 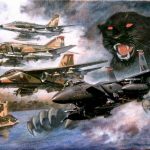 The 12th Tactical Fighter Wing (12th TFW) was the unit I served under during my tour of duty in Vietnam from January of 1970 to January of 1971. 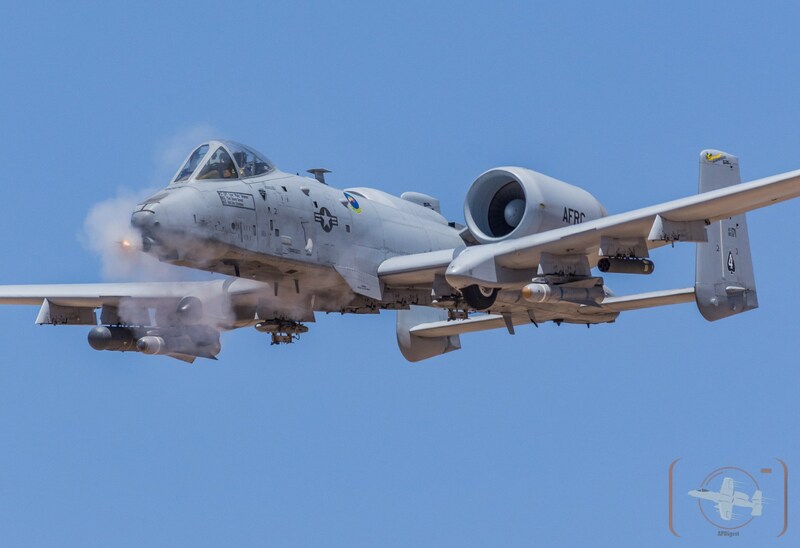 The reunion was managed very nicely, was well attended and included trips to the nearby Pima Air and Space Museum as well as Davis-Monthan Air Force Base. Several of us writers were privileged with holding book signings at the courtesy room of our hotel where the reunion was held. During the course of the week I spoke with many fine people from the 12th and signed many books throughout the event. Active from 1962 to 1971, the United States Air Force 12th Tactical Fighter Wing originated at MacDill Air Force Base near Tampa, Florida. 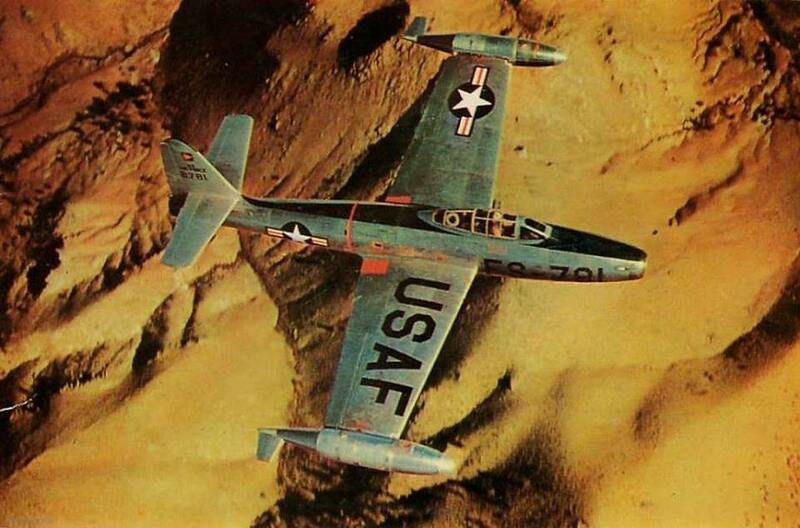 The Wing’s original aircraft was the F-84F Thunderjet, a carryover from the Korean War. 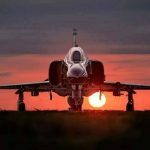 The 12th TFW was the first USAF unit to convert to the F-4C Phantom II fighter bomber, which was originally designed for the U.S. Navy with carrier duty in mind. 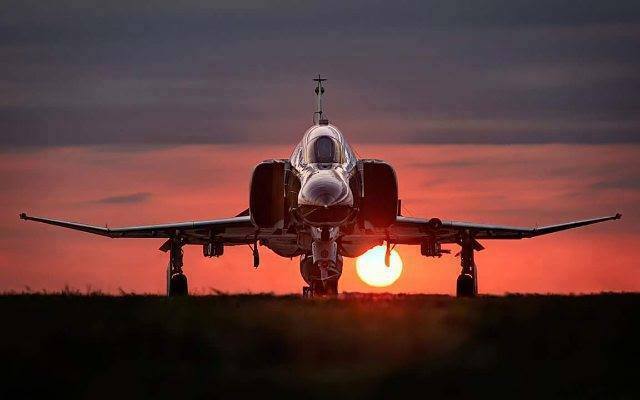 The F-4 Phantom was also flown by the U.S. Marine Corps. In late 1965 the 12th TFW deployed to Cam Ranh Air Base in II Corps located on the coast of the Central Highlands of Vietnam. The 12th’s mission at Cam Ranh included close air support for infantry troops, interdiction and combat air patrol. 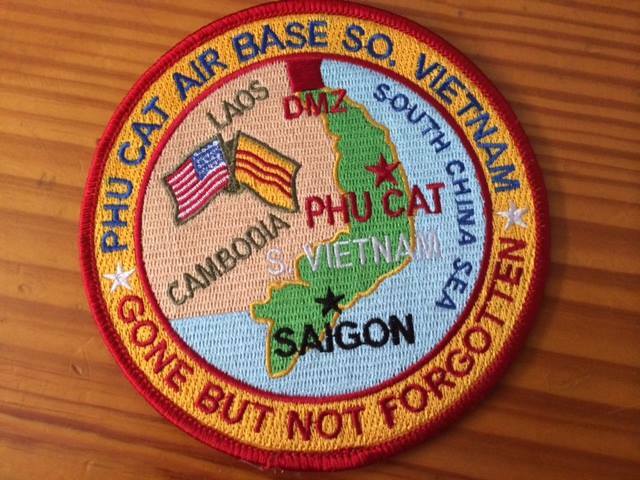 The 12th TFW replaced the 37th Tactical Fighter Wing at Phu Cat, Air Base in April of 1970. 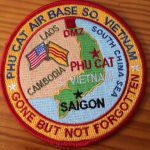 Phu Cat was also in the Central Highlands of Vietnam in II Corps, some three hundred kilometers north of Cam Ranh Bay. The 12th’s mission at Phu Cat was also close air support, interdiction and combat air patrol. 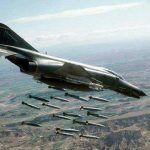 The F4 Phantom, built by McDonnell Douglas was the worldwide premiere fighter/bomber for many years. 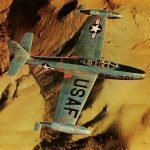 The large jet was a two seat, twin engine aircraft that could fly 1,650 mph and reach altitudes in excess of 90,000 feet. Large, fast and maneuverable, the aircraft could carry 18,000 pounds of weaponry; just 2,000 pounds shy of the huge B-29 bomber of World War Two and the Korean War. The Tucson reunion was attended by many different people from the 12th Tactical Fighter Wing. There were many aircrews in attendance; pilots, and Weapons Systems Officers of the aircraft assigned to the wing. I also met munitions specialists, medics, aircraft maintenance personnel, Security Police and several other specialists of which I unfortunately do not recall them all. My role in the war involved supply; providing the required materials and equipment where and when needed. Because of circumstances and the alignment of the stars, I butted up against many different facets of the war during my time in Vietnam, some of which are reflected in my two historical novels, The Kansas NCO and Back To The World. And while I am proud of my service there and all others who served and realize the necessary role we all filled, I have always been in awe of two particular groups who served in the war. Both infantrymen and aircraft pilots very much impressed me regarding the danger of their duty, and the skill required to accomplish the task they were given. 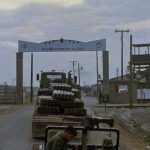 My role in supply took me off base on small convoys moving material from our base at Phu Cat to Qui Nhon and some other military installations in the area. (Some unplanned adventures occurred during that duty) On those trips I often saw infantrymen from the nearby 173rd Airborne or 1st Calvary units trudging along the road, loaded with weapons and equipment, caked in red dirt. And upon seeing these stalwart troops I often wondered how I would fair under such duty. Watching jets and other aircraft launch from the Phu Cat airbase day and night in all kinds of weather also brought reflection. 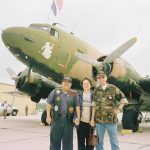 I got a small taste of the life of aircrews while traveling on C-130’s and C-47’s for a time. I was dubbed “assistant load master” and humped miscellaneous cargo on and off the aircraft for about a one-month period while at Phu Cat. Most of the trips were to Qui Nhon, Nha Trang or Cam Ranh Bay and back. When I think of these pilots several adjectives come to mind; focused, disciplined, and tough being just a few. But one description that also stands out is “positive”. I had the opportunity to talk to and listen to many of the pilots during the reunion. The discussions often focused on some of the aircraft they flew and the different variations thereof. The pilots almost always exhibited an optimistic attitude when discussing the missions they handled and the challenges they faced. An old film also stirs my memory regarding the air crews. In the Korean War film, The Bridges at Toko-Ri, Frederic March plays a Naval admiral. After one harrowing mission, as March’s character watches the returning aircraft, he asks “Where do we find such men?” I often wonder the same thing. 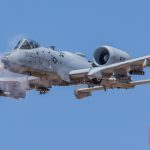 During our visit to Davis-Monthan Air Force Base we were given a tour of the A-10 Squadron there. 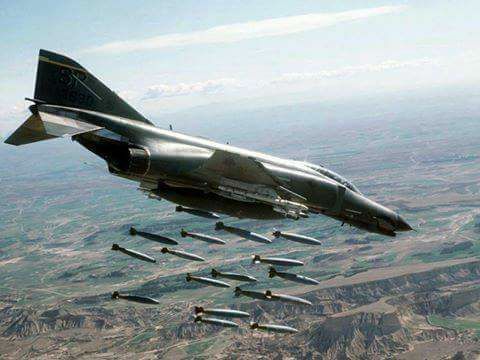 The “Warthogs” are also a combat support aircraft and have been used very effectively in the Gulf War as well as Iraq and Afghanistan. All of the men and women of the A-10 squadron were tremendously gracious and helpful to us during our tour. They took time to field our questions and inquiries about all aspects of the aircraft and their mission. During our visit to one of the maintenance hangars we were able to get a good look at the runways where A-10’s were taking off and landing on training missions. Many personnel were in the hangars performing various aspects of work in support of the A-10’s on hand. Being Tucson with the temperature hovering around one hundred degrees, I was amazed at how efficient and smoothly the operation was handled. My mind again asked the question; “Where do we find such men….and women.” ………Fortunately, we find them in America. Thank you to the men and women who made this reunion possible and I very much look forward to the next one. As a bonus, after the reunion I was able to spend several days with old friends who live in Tempe, Arizona, attending the wedding of one of their grandchildren. We also got to visit with my nephew Chris who gave us a tour of the manufacturing facility he owns in Tempe. Nice article! I was just wondering how to get information on the next reunion for my father. Terrific article Joe. 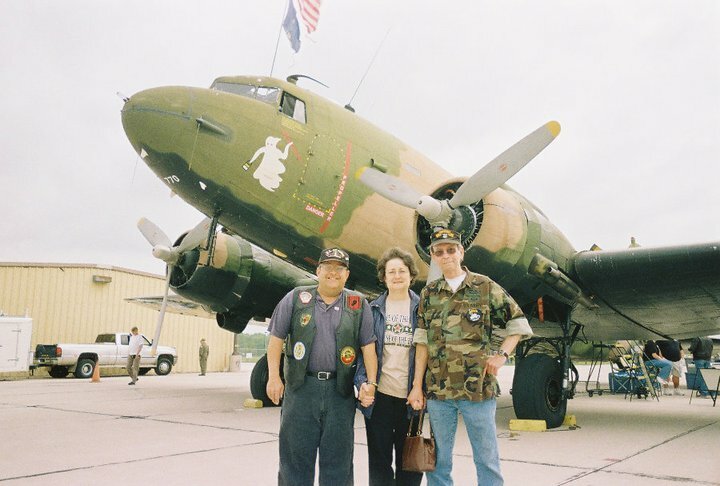 Everyone served a part in the effort and my hats off to the airmen who served in all of Southeast Asia. Many infantrymen ended up in their various roles voluntarily, involuntarily or by chance. Myself, following basic it was apparent I had a future in said units as I was on my way to Advanced infantry Training at Ft. Polk, LA. and thus following that experience I volunteered to go to jump school which put me on a fast track to Vietnam; not necessarily a well thought out move. Thanks Duke, you guys had a tough job.